On Saturday, March 5th, a group of students from grades 3-6 gathered at CDNIS to participate in a Lip-Balm workshop Service Activity. 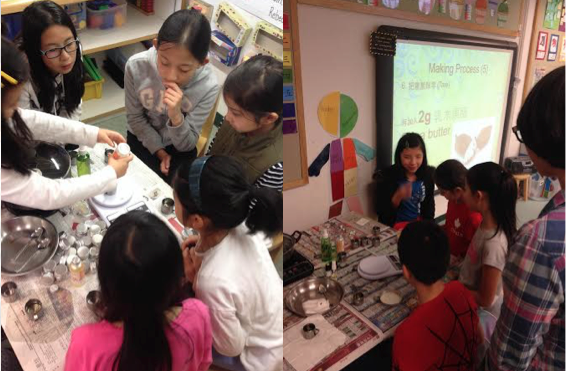 Coordinated through Raven House NGO HandsOn Hong Kong and Green Social Work, students created their own lip balm donations using natural materials like beeswax, shea butter, and essential oils. Not only did the students learn a new skill, they also contributed to a community need. As we transition seasons, elderly populations in Hong Kong require personal care items. The lip balms were donated to the Red Cross John F. Kennedy Centre in Pok Fu Lam to be distributed to those who will use these products. Lower School Student Council (LSSC) Raven House representative Nikki accompanied Ms. Rebecca Tupling to make the delivery.